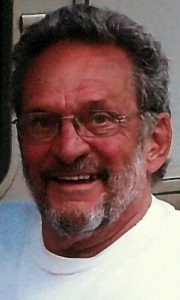 Kenneth C. Book, 76, formerly of Strasburg, passed away at his Luther Acres cottage surrounded by his loving family on Monday, January 14, 2019. Born in Lancaster to the late John H. and Bertha (Landis) Book, Ken grew up on the Book family pickle farm where Lampeter-Strasburg Schools Campus is today. Sweethearts for 60 years, Ken and his wife Dorothy “Dottie” L. (Strubel) Book celebrated 57 years of marriage. A 1960 graduate of Lampeter-Strasburg High School, Ken earned an associate’s degree in electrical engineering at Penn State University, York Campus. He was a design engineer and lead innovator for DuPont in Newark, DE, which included some international travel. Following retirement from DuPont, Ken continued doing consulting work until 2000. Ken was a member of Wesley United Methodist Church, Strasburg, where he held every position on the board and taught the original Alpha classes as well as Disciple I, II & III. Ken also taught Alpha classes at Lancaster County Prison for 3 years. For the past year Ken and Dottie attended Lancaster Evangelical Free Church, Lititz. He planted and maintained many beautiful flower beds and designed and built an amazing water garden at their Strasburg home. Ken was always positive, laidback and a caring father who dearly loved his family. He and Dottie loved to travel in their RV to the National Parks and spend winters in Sarasota, FL. The family spent great times at Pettecote Junction Campground in Cedar Run along Pine Creek, where they rode bicycles on the Pine Creek Rail-Trail, fished for trout, enjoyed campfires and all types of music. Ken’s family will receive friends from 10 to 11 AM, followed by a celebration of Ken’s life at 11 AM, Saturday, January 26th at Wesley United Methodist Church, 40 West Main St., Strasburg, PA 17579. Interment will be private. Please omit flowers. Memorial contributions may be made to Hospice & Community Care, P.O. Box 4125, Lancaster, PA 17604-4125. We are so sorry to hear of Kens passing. Our prayers are with you and your family. I will always remember Ken as he was the kindest and most comforting man ever. Im sure you know how lucky you were. Know he is still with you. Dottie, I am so sorry for your loss. It was a privilege to be involved in a small way in Ken’s care. I so enjoyed getting to know both of you and will long remember you both. Dottie & family: We want to express our sympathies to all of you about Ken’s death. He was a fun person and always smiling. Our best wishes to you as you grieve this loss. We were so sorry to hear of Ken’s passing. Our thoughts and prayers are with you and your family during this difficult time. We were very sorry to read about Ken’s passing, Our prayers and thoughts are with you and your family. I was so sorry to hear of the loss of Ken. He was a fantastic neighbor to live next to in Lampeter. Sending my deepest sympathy to you and your family. So very sorry for your loss. Kenny, sure going to miss our talks, every subject from wils horses to sun sets. always interesting and fun, from marbles to bike rides. See you sometime later and we can start up where we left off. God is good. Please accept my sincere condolences. I cherish the fond memories I have of my former classmate, Kenny. I will never forget his receiving an urgent message delivered one day during a class we shared. He was asked to run home immediately to help recapture a calf which had escaped and was running across the fields and he was needed to help chase it down…. Dottie and family, so very sorry for your loss. Ken was a beautiful and kind man. He will be missed by many.